BY-LAWS (includes changes approved in 1977, 1978, 1982, 1985, 1986, 1988, 1990, 1993, 1994, 2010, 2013, 2015, 2016, and 2018). e) to engage in any and all lawful activities incidental to the foregoing purposes, except as restricted herein. Section 1. No part of the net receipts of the Human Biology Association shall inure to the benefit of or be distributable to its members, officers, committee members, or other private persons, except that the Association shall be authorized and empowered to pay reasonable compensation for services rendered and to make payments and distributions in furtherance of the purposes of the Association as set forth in these Articles of Incorporation and By-Laws. Section 2. No substantial part of the activities of the Association shall be the carrying on of propaganda or otherwise attempting to influence legislation, and the Association shall not participate in, or intervene in (including the publishing or distribution of statements) any political campaign on behalf of any candidate for public office. Notwithstanding any other provision of these Articles of Incorporation and By- Laws, the Association shall not carry on any other activities which are proscribed for organizations exempt from federal income tax under section 501(c)(3) of the Internal Revenue Code of 1954 (or the corresponding provision of any future Internal Revenue Code) or which are proscribed or organizations to which contributions are deductible under 170(c)(2) of the Internal Revenue Code (or the corresponding section of any future Internal Revenue Code). Section 1. The Association shall consist of Subscribing members, Fellows, Student Members, Supporting Members and Benefactors, and Fellows Emeriti/Emeritae. of the Association who pays each year the dues stipulated by the Executive Committee. Subscribing members of the Association do not have the right to vote or hold office. Section 3. Fellows shall be limited to those who have, to the satisfaction of the Executive Committee, academic accreditation in the field of human biology as evidenced by the possession of a doctor’s degree, and to other professionally qualified persons who have demonstrated competence in research or teaching of humanbiology. TheyshallpayduesasstipulatedbytheExecutiveCommitteeandshallhaveallprivilegesand obligations of full membership in the Association, including the right to vote and hold office. Section 4. Student members shall consist of bona fide undergraduate or graduate students who pay stipulated dues, as determined by the EXECUTIVE COMMITTEE, to the office of the Association each year. Theyshallnothavetherighttovoteorholdoffice. StudentMembersmayholdthisstatusfornomorethan ten (10) years from the time they first join the association as graduate students. At the end of t h i s t e n (10) year period, student members may join the association as subscribing members and pay the corresponding dues. Undergraduates may also enroll as student members; any time as an undergraduate student member will not count against the ten (10) year maximum. Upon earning a doctoral degree, a member is no longer eligible for student membership, and may either join as a subscribing member or apply to become a Fellow. Section 5. Supporting Members and Benefactors are any individual, corporation or other institution wishing to support the Council and invited to do so by the Executive Committee. Supporting Members and Benefactors shall not have the right to vote or hold office (unless they are also Fellows). Supporting Members and Benefactors shall be listed as such in official lists of officers and members. Section 6. Any Fellow of the Association in good standing may choose to become a Fellow Emeritus/Emerita upon reaching retirement or 65 years of age. Fellows Emeriti/Emeritae shall continue to have all privileges and obligations of full membership in the Association, including the right to vote and hold office. Section 7. Membership dues shall be payable annually. The amount of membership dues for each membership class shall be set by the Executive Committee at a level required to carry out the business of the Association. Payment of membership dues shall constitute evidence of membership. Section 8. Each member shall receive all the Association’s regular publications for the year covered by his or her dues. Section 1. There shall be a COUNCIL OF FELLOWS of the Association, the membership of which shall be restricted to FELLOWS as defined in Section 3 of Article III of the By-Laws. Section 2. THE COUNCIL OF FELLOWS shall meet for the purpose of hearing reports of the officers, the Executive Committee and such other committees as may have been appointed or elected; taking appropriate action on such reports; and transacting such other business as may be brought before it by the officers and other Fellows of the Association. Section 1. The Corporation shall be managed by the Executive Committee which shall consist of the officers of the Association and not less than four members-at-large who shall be Fellows of the Association. The President of the Association shall preside at the meetings of the Executive Committee. serve for a term of two (2) years, and one to serve for a term of one (1) year. Thereafter, one Executive Committee member (or more than one if additional unfilled vacancies exist at the time of the election) shall be elected annually to serve for terms of four (4) years. Each member-at-large shall have an assigned duty for the duration of their term on the Executive Committee. These duties are: Meeting Program Chair, Public Relations, International Relations, and Membership. Each member-at-large shall provide a report regarding their duty at the regular meetings of the Executive Committee. Section 3. The number of members of the Executive Committee may be increased or decreased by vote of the Council of Fellows or by a vote of the majority of all the members of the Executive Committee. No decrease in the number of members of the Executive Committee shall shorten the term of any incumbent member. Section 4. Any or all of the members of the Executive Committee may be removed for cause by a vote of the Council of Fellows or by an action of the Executive Committee. Members of the Executive Committee may be removed without cause only by vote of the Council of Fellows. Section 5. A member of the Executive Committee may resign at any time by giving written notice to the Executive Committee, the President or the Secretary of the Corporation. Unless otherwise specified in the notice, the resignation shall take effect upon receipt thereof by the Executive Committee or such officer. Section 6. A majority of the entire Executive Committee shall constitute a quorum for the transaction of business or of any specified item of business. Section 7. Unless otherwise required by law, the vote of a majority of the members of the Executive Committee present at the time of the vote, if a quorum is present at such a time, shall be the act of the Executive Committee. Each member present shall have one vote. Section 8. The Executive Committee may hold its meetings at the office of the corporation or at such other place as is from time to time determined. Section 9. Regular meetings of the Executive Committee may be held without notice at such time and place as it shall from time to time determine. Special meetings of the Executive Committee shall be held upon notice to the members and may be called by the President or by the Secretary in a like manner on a written request of two members of the Executive Committee. Notice of a Meeting need not be given to any member who submits a waiver of notice whether before or after the meeting or who attends the meeting without protesting prior thereto or at its commencement, the lack of notice. A majority of the members present, whether or not a quorum is present, may adjourn any meeting to anothertimeandplace. NoticeoftheadjournmentshallbegiventoallmembersoftheExecutiveCommittee who are absent at the time of the adjournment, and, unless such time and place are announced at the meeting to the other members of the Executive Committee. Section 1. The Officers of the Association chosen from among the FELLOWS, shall consist of a President, a President-elect (Vice-President), a Past President, a Secretary and a Treasurer. The President- elect and the Secretary shall be elected by the FELLOWS. The Treasurer shall be appointed by the Executive Committee. Section 2. The President’s term of office shall be for two (2) years after which he/she will be succeeded in office by the President-elect, and succeed to the office of Past-President. The President-elect and the Past-President shall each serve for terms of one (1) year each. The terms of the Secretary and the Treasurer shall be four (4) years. Each officer shall hold office for the term to which elected or appointed and until a successor has been elected or appointed and qualified. andBy-Laws. TheactionsofthePresidentinexercisingthedutiesandresponsibilitiesofhisorherofficeshall be subject to review and approval of the Executive Committee. Section 4. The President-elect shall act as Vice-President. In the Absence or Disability of the President, he or she shall perform the duties of the President at all meetings of the Association and the Executive Committee. Section 5. The Past President, in the Absence or Disability of both the President and President-elect, shall perform the duties of the President. Section 6. The Secretary, subject to the directives of the Executive Committee, (1) shall be responsible for the maintenance of the central office of the Association; (2) shall have general charge of administrative matters under the direction of the President and (3) shall act as Secretary of the Executive Committee. The Treasurer, subject to the directives of the Executive Committee, (1) shall be responsible for the administration of the finances of the Association subject to budgetary and other regulations approved by the Executive Committee; (2) shall be the Association’s fiscal agent in dealing with other persons or organizations employed on behalf of the Association by the Executive Committee to handle the funds of the Association; (3) shall be responsible for the maintenance of adequate books and records which shall at reasonable times be open to inspection by the Executive Committee; (4) shall render an annual report to the Executive Committee which upon approval shall be presented at the Annual Meeting and included in the Minutes. Section 7. Any officer elected or appointed by the Executive Committee may be removed by a two- thirds vote of the Council of Fellows. In the event of the death, resignation or removal of an officer, or member of the Executive Committee, the Executive Committee in its discretion may elect or appoint a successor to fill the unexpired term. Section 8. In case the Executive Committee shall so require, any officer or agent of the corporation shall execute to the corporation a bond in such sum and with such surety or sureties as the Executive Committee may direct, conditioned upon the faithful performance of his/her duties to the Association and including responsibility for negligence and for the accounting of all property, funds, or securities of the Association which may come into his/her hands. Section 9. The executive committee, acting through the President, shall have overall responsibility for publication policy and act in an advisory capacity to the Editor in interaction with the Publisher. 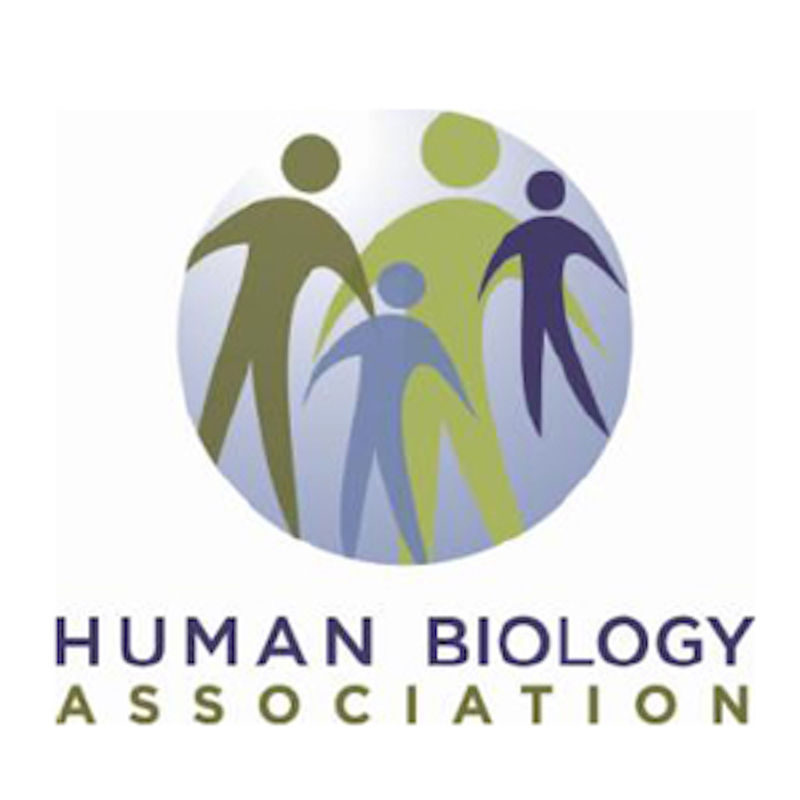 It shall review the publications of the Human Biology Association, appointments made by the Editor-in-Chief, report to the Association, and make recommendations for any needed modifications. Section 1. The names of the members of the Nominations and Elections Committee and their addresses for any given fiscal year shall appear prominently on the organization’s website. There shall also be a listing of the offices to be vacated for which nominations will be made for the ensuing period with a notice that any member may suggest the names of candidates for such offices to the Committee at any time until ninety (90) days before the date of the announced election. The Nominations and Elections Committee shall nominate at least two member candidates for each office. All prospective nominees must indicate in writing to the Nominations and Elections Committee their willingness to serve. Section 2. The Nominations and Elections Committee shall administer the elections and shall act as tellersinthecountingofballots. IfamemberoftheCommitteeisnominatedforanotherofficebyaFellowof the Association and wishes to be considered for candidacy, then that member must withdraw from all activities of the Nominations and Elections Committee until the election has been completed. Section 3. Each Fellow shall be entitled to vote for one candidate for each office. Voting shall be by mail ballot or electronically. No identification of the voter shall appear on the ballot. To be counted as votes, ballots must be received by the Nominations and Elections Committee or before a date specified by it, such date shall not be less than thirty (30) days after the ballots have been sent out. The results of the elections shall be announced by the Nominations and Elections Committee at the Annual Meeting. The candidate for an office who receives the highest number of votes shall be declared elected to that office. In the event of a tie vote, the Nominations and Elections Committee shall hold a run-off election at the Annual Meeting. Section 1. There shall be an Annual Meeting of the Council of Fellows, held at a time and place to be determined by the Executive Committee. The Secretary shall cause a notice of such meeting to be sent to all Fellows in good standing at their addresses as they appear in the membership roll book at least thirty (30) days but not more than ninety (90) days before the scheduled date of such meeting. At the Annual Meeting, reports shall be given by the Officers and the Executive Committee members- at-large regarding their duties. There shall be an opportunity to bring other matters before the meeting. The quorum for taking official action shall consist of 5% of the Fellow Membership. therefore of any Fellow who has given written notice to the corporation provided that such request be made at least ten (10) days prior to such meeting. All persons appearing on such membership roll shall be entitled to vote at the meeting. appear in the membership roll book at least ten (10) days but not more than fifty (50) days before the scheduled date of such meeting. Such notice shall state the date, time, place and purpose of the meeting and by whom called. No other business but that specified in the notice may be transacted at such special meetings without the unanimous consent of all present at such meeting. Section 3. For the purpose of determining the members entitled to notice of or to vote at any meeting of the Council of Fellows or any adjournment thereof, or to express consent to or dissent from any proposal without a meeting, or for the purpose of determining the members entitled to receive any distribution or allotment of any rights, or for the purpose of any other action, the Executive Committee shall fix, in advance, a date as the record date for any such determination of members. Such data shall not be more than ninety (90) nor less than thirty (30) days before any such meeting, nor less than ninety (90) days prior to any other action. The order of business at all meetings of members shall be as follows: (1) consideration of the minutes of the previous meeting, (2) reports of committees, (3) reports of officers, (4) old and unfinished business, (5) new business, (6) adjournment. Section 1. The Nominations and Elections Committee shall be composed of four members who are Fellows of the Association. The Executive Committee shall appoint to the initial Nominations and Elections Committee two Fellows to serve for terms of two (2) years, and two Fellows to serve for terms of one (1) year. Thereafter, two Fellows shall be elected each year to the Nominations and Elections Committee to serve for terms of two (2) years. The HBA Secretary shall serve as an ex-officio member of the Nominations and Elections Committee. It shall be the duty and responsibility of the Nominations and Elections Committee to nominate candidates for office and to administer elections in accordance with the provisions of these By-Laws. Section 2. Acting on the advice and consent of the Executive Committee, the President shall appoint and define the duties of such other committees as from time to time are necessary to conduct the business or carry out the purposes of the Association. Association. The Publications Committee of the Association (defined below) shall recommend several candidates as new Editor-in-Chief, as necessary. The President shall then appoint the Editor-in-Chief, subject to the approval of the Executive Committee of the Association. The Editor-in-Chief shall appoint such other editors and editorial board members as needed, subject to consultation with the Publications Committee. Section 2. The Publications Committee shall be a standing committee and consist of seven members: The Editor-in-Chief of American Journal of Human Biology (ex officio), the President and Secretary of the Association, and four persons to be elected members of the Association. The term of the elected members of the Committee shall be four years, except that two shall serve initially for two years only. The President of the Association shall designate one of the elected members of the Committee to serve as Chair. The Publications Committee shall meet at least once annually. Section 3. The Editor-in-Chief shall serve for a term of six years, subject to one renewal. He or she shall have overall responsibility for the operation of the journal, including selection and editing of manuscripts, in cooperation with the Editorial Board. Upon retirement, he/she shall serve as Consulting Editor. The Treasurer shall have responsibility for payment of the bill from the publisher and for related business negotiations. Section 4. The Association may publish such other publications as the Executive Committee deems advisable and the Association’s finances permit. Upon the dissolution of the Association, whether voluntary or involuntary, after paying off all of the liabilities of the Association, the Association shall dispose of all its assets exclusively for the scientific and educational purposes set forth in the Articles of Incorporation and By-Laws by donating them to an institution or organization exempt from taxation under Section 501 (c)(3) of the Internal Revenue Code as may then be in effect. Section 1. The Articles of Incorporation may be amended by a two-thirds vote of the Council of Fellows present at an Annual Meeting or a Special meeting. The Articles of Incorporation may also be amendedby anelectronicormailedballotprovidedthataproposedamendmentisapprovedbytwo-thirdsof the votes cast. Section 2. These By-Laws may be amended by majority vote of the Council of Fellows at an Annual or Special Meeting of the Association, or by an electronic or mailed ballot. shall go into effect immediately upon approval unless otherwise specifically provided. Section 4. The provisions of these By-Laws, as amended, shall be effective immediately upon adoption and shall supersede and nullify all previous enactments in conflict with them.